A partnership with HID Global will provide Oberthur Technologies with the ability to support Seos digital keys on NFC-enabled smart phones. The partnership will see the Seos digital keys applet embedded into Oberthur Technologies’ NFC SIM cards, enabling the use of NFC smart phones for a wide range of applications that have previously been reserved for use on smart cards. Oberthur brings its dragonFly suite of NFC SIM cards to the partnership. The dragonFly solution has attained Common Criteria EAL4+, MasterCard, Visa and MIFARE DESFire certifications and features integrated, anti-virus protection. 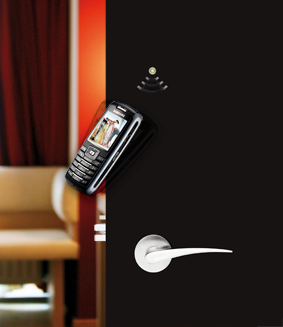 In addition to supporting key NFC deployments like transport, payment and access control, Oberthur’s solution also supports and facilitates a more convenient user experience through the use of mobile phones for hotel check-in and room access. Seos is part of an ecosystem of interoperable solutions and services for issuing, delivering and revoking digital keys on NFC-enabled mobile devices. Seos can be used for physical access, opening doors to homes, hotels, offices, hospitals, universities or commercial buildings. 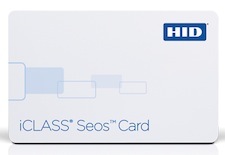 Seos is a standards-based smart card technology and uses cryptography to maximize interoperability and security, and with the Seos Trusted Service Manager, securely manages Seos digital keys on NFC mobile devices.